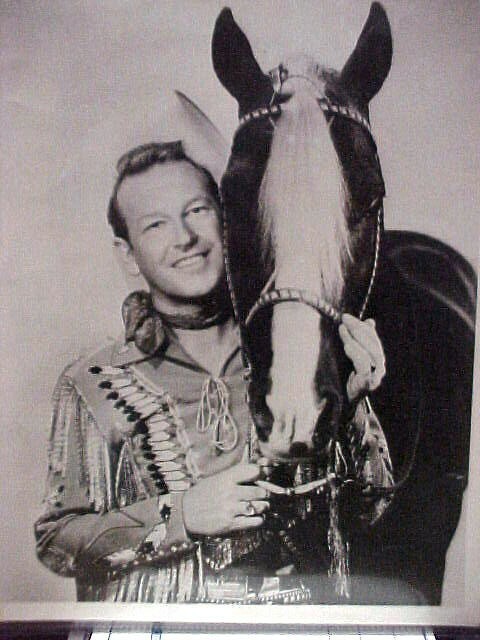 This is a rare Black & White 8X10 photo of Rex Allen wearing a Feathered Designed Cowboy Shirt standing with his faithful miracle horse "KOKO". This is a rare Black & White 8X10 photo of Rex Allen wearing a Feathered Designed Cowboy Shirt standing with his faithful miracle horse "KOKO". Please email cowboycabin@centurytel.net with questions or call 406 270-2842.